10. EDINSON CAVANI: Popularly known as one of the game’s hardest workers, the 26-year-old deft touch and lethal finishing has enabled Cavani to become recognized as one of Europe’s most effective strikers. He together with Zlantan Ibrahimovic has scored 23 goals in the Ligue 1 matches. 9. SERGIO AGUERO: This Argentinian playing for Manchester City is currently the second highest scorer with a dozen goals and is about to re-reaching the heights of his debut season in England. His good form is a good support to City’s title challenge and Sky Blue fans are hoping that the partnership with Alvaro Negredo will continue to flourish and they can once again dethrone Manchester United. 8. FRANCK RIBERY: Putting Ribery in the 8th position in the list may make many wonder why this Freanchman who was a favorite for the Ballon d’Or just over a month ago is so down in the list. But you must keep in mind that this list is based upon the plethora of attacking talent which presently subsists on the planet, rather than a question mark over his ability. Ribery was the Bundesliga’s highest assist maker last season paving the way for a grand success in Bayern’s domestic and Champions League. 7. GARETH BALE: Striking an incredible 21 Premier League goals last term, almost in single hand, Real Madrid paid a record fee of 85 million pounds for his service, to join Cristiano Ronaldo and Karim Benzema in Los Blancos’ in front line. Bale has justified the heavy fee been paid to him by scoring seven goals in nine La Liga matches so far. 6. 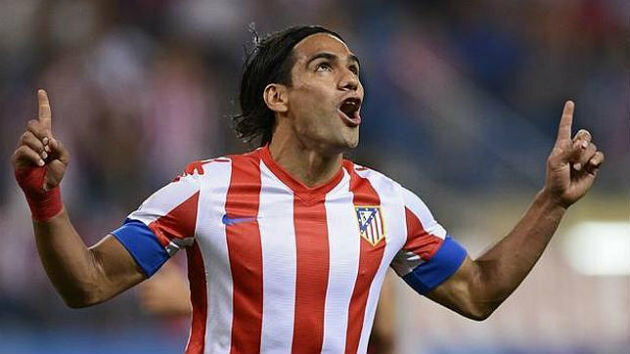 RADAMEL FALCAO: The Colombian’s no technical weaknesses in his game, is a big threat in the air rather than on ground and has a very unique style of play which is not negated by his lack of blistering pace. The 27-year-old has hit 28 La Liga goals for Atletico Madrid last season a tally very close to Cristiano Ronaldo and Messi. 5. ROBIN VAN PERSIE: This Dutchman’s 29 league goals had justified the 24 million pound pay made to him by Arsenal Sir Alex Ferguson. 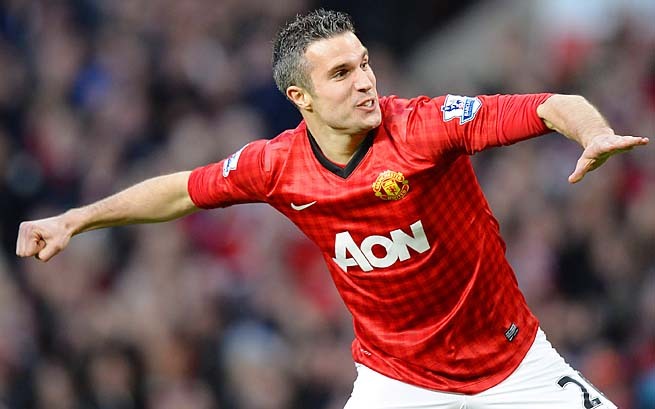 His Van Persie’s skill, technique and sumptuous left foot make him one of the world’s most coveted players despite him being prone to injury. This 30-year-old Netherlander is the all-time leading goal scorer. 4. ZLATAN IBRAHIMOVIC: The Swedish with many controversies, violence and entertainment is surely a fantastic footballer with almost every technical attribute in his hand. After winning silverware in Holland, Italy, Spain and in France, Ibrahimovic has only now started to get full acclaim for his talent. The 30 Ligue 1 goals in his debut season for Paris Saint-Germain handed his new club their first league title after 19 years. 3. LUIS SUAREZ: The Liverpool’s Uruguayan striker is quite simply the best player in the Premier League at the moment, being the top scorer with 14 goals in his pocket so far. His detractors will pin point to his disciplinary issues but as a player he is undoubtedly world class. He is a mesmerizing dribbler with a good ball control as anyone in the planet. 2. LIONEL MESSI: Having the Golden Boot for scoring 46 goals last season before November 23, 2013 in Barcelona, Spain, Messi has scored a generous 60 goals in 50 appearances for Barcelona in the last season. 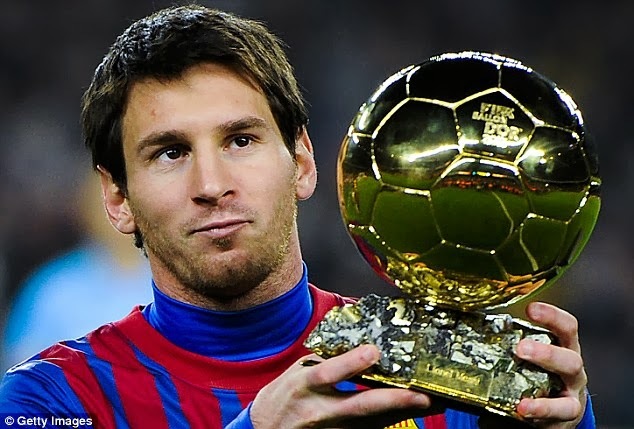 He has also won th eBallond’Or four years in a row. This Argentinian is rightly called as one of the greatest players to have ever played in a football field. 1. CRISTIANO RONALDO: His scoring of a brilliant hat-trick for Portugal in the second leg of their World Cup play-off against Sweden was just a symbol of the seasons he’s presently having. He has scored 67 goals in this year. He is deployed as a winger, more than a conventional striker. Though there has always been a debate on who is the best player in the world “Messi or Ronaldo” – the pendulum has finally swung in the favor of the latter.